In December I completed a 14-week ‘solving poverty saves wildlife’ expedition across Zimbabwe, Zambia, Kenya and South Africa; living among rural communities and shadowing farmers and anti-poaching rangers that were once impoverished poachers. I’ve seen time and again that when NGOs tackled the poverty link to the poaching crisis, rhino and elephant poaching in those ecosystems collapse. 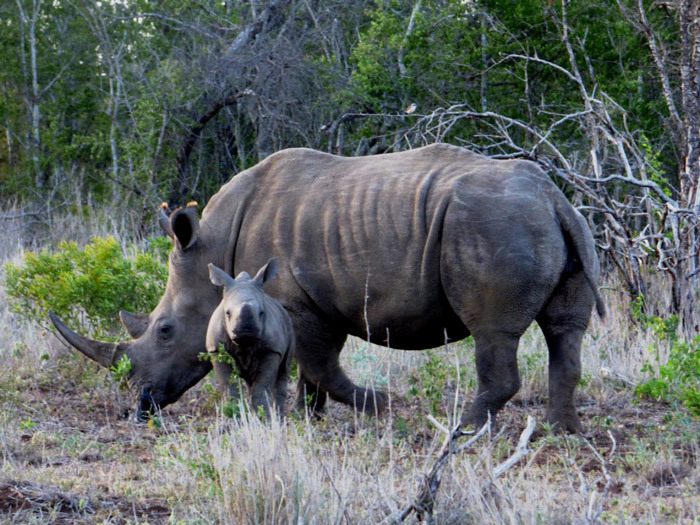 It’s not a new idea, but it is a slow idea, especially in South Africa, which is home to the majority of the remaining 20,000 wild rhinos on the brink of extinction. 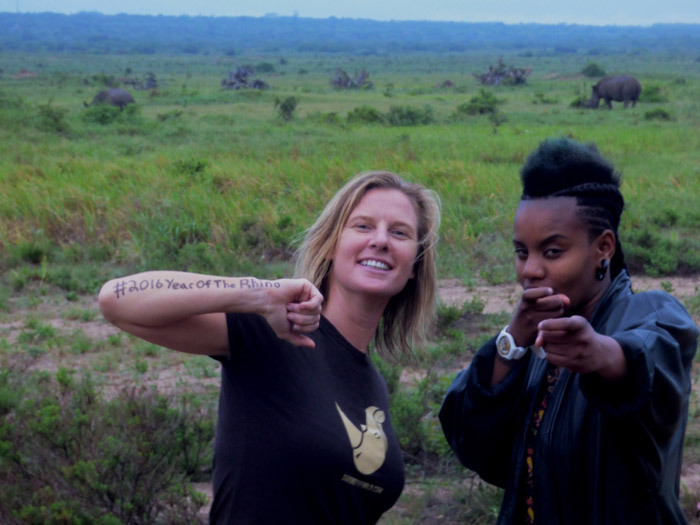 The value of community to the anti-poaching strategy, and the value of community empowerment, is the secret weapon that needs to be unleashed. Fast-forward to present day and I’m on location at andBeyond Phinda Private Game Reserve in Zululand shooting a documentary about the rhino crisis. We are joined by Zulu Princess Latoya Buthelezi, better known in recent years by her stage name Toya Delazy. The exceptionally talented young singer/songwriter is currently based in London, but our global rising star always makes time for the place she calls home. 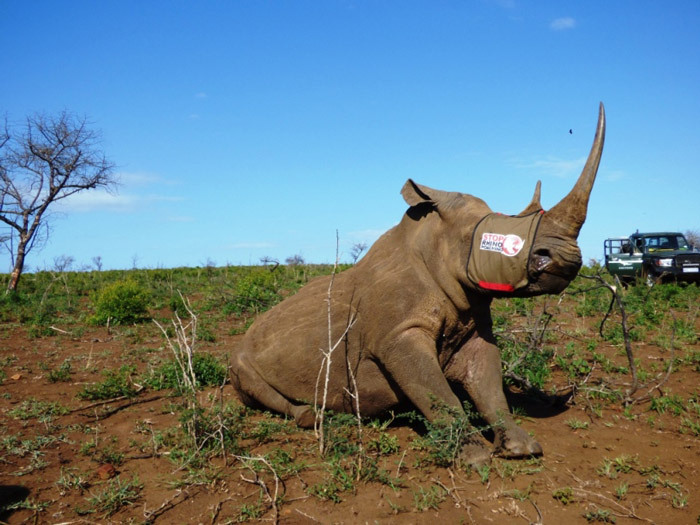 We are here to prove to the world that we can save the rhino – but first we have to save our own humanity during a time in history where greed and ego, as well as a status-driven demand for rhino horn in China and Vietnam, is fuelling this wildlife holocaust. We’re currently experiencing the worst drought in 100 years, but as if scripted, as soon as Toya arrived, thunder erupted, and the rains began to drum across the landscape. 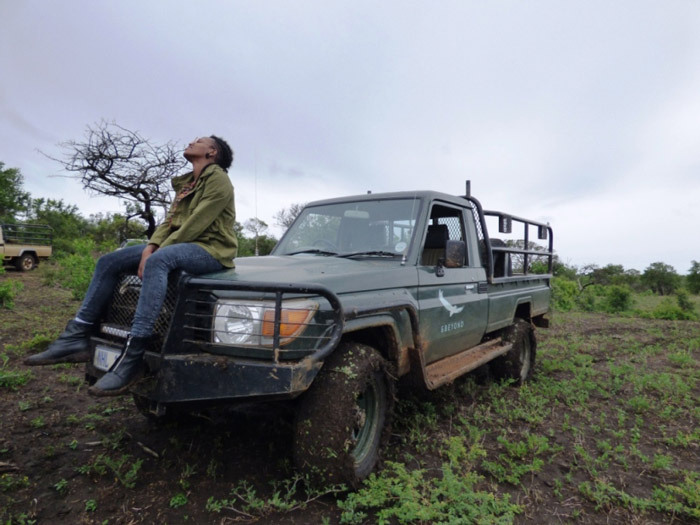 Birds sang in chorus, dried up fibres transformed to green grass shoots, lion and cheetah cubs pranced across the dew, and rhinos travelled far distances across the 24,000 hectare reserve to reach waterholes that were mud and dust a day earlier. The next morning we visited the Mnqobokazi community, hosted by Bheki Ntuli, a community liaison for Africa Foundation. Africa Foundation has been working with communities adjacent to conservation areas for over two decades, and supports five communities surrounding Phinda. Recently completed projects include boreholes at six schools, and The Community Business Linkage Programme – an initiative providing innovative solutions to promote employment generation in historically disadvantaged communities – has created new markets for three farms in the region. Our journey into authentic community development began with the principal of Nkomo Primary School, Mrs Zikhali. As she sat across from Toya, sharing her own personal story of learning and progress, chapter one began like so many African stories – under a tree. In 1999 Mrs Zikhali started Nkomo Primary School with 220 children. There are now 19 classrooms, of which 13½ were built by Phinda. Toya was so moved by Mrs Zikhali’s story that she asked if we could swing by the neighbouring high school. Toya is salt of the earth, gracious and humble, and wherever we went she requested that no one make a fuss over her visit, and so we caught the high school completely by surprise. However, no one could have expected what happened next as she stepped out of the vehicle. Music, like nature, is one of those binding forces that connect us all. Music does not see race or politics, or how many zeros you have in your bank account. It’s that feeling that hits you like a thunderbolt. 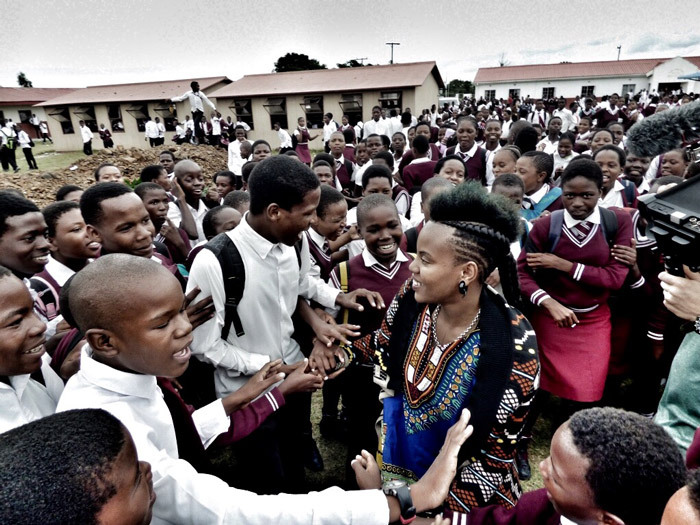 And when Toya Delazy stepped out from the vehicle, hundreds of teenagers instantly recognised her from her music videos on TV. She was swept away in a wave of positive energy, boys and girls singing along to her latest hit single, ‘My City’. The song has a catchy beat, it has potential, but even more than that, it is a conscious echo. How do we expect rural communities living on the breadline to protect an animal they have never seen before, or defend a conservation model they have no stake in? 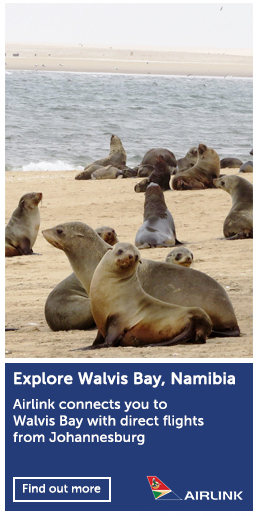 Right across the continent fathers and sons from communities that border wildlife areas are being recruited by poaching syndicates, and poverty will continue to be an exploitable avenue until a lot more people invest in a new breed of wildlife ambassadors.